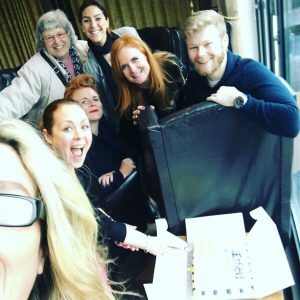 The concept of a Jelly started in New York in February 2006 when a group of friends realised they loved working from home, but missed the creative brainstorming, sharing and camaraderie of being in a traditional office. So, one day a week they started inviting friends round to work from their home – which gave them the best of both worlds. They got the quietness that comes with working on your own, mixed with one day a week working alongside new and interesting people – with their new and interesting ideas and conversations. They made it a regular thing… and the Jelly was born. Apparently it was called “Jelly” as there were Jelly Beans at the first New York gathering – which is why we have these little treats for any ‘Jelly Virgins’ that come to their first Jelly with us! 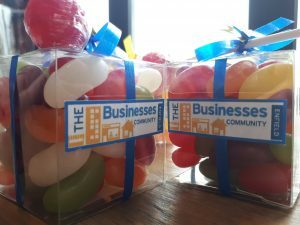 The whole St Albans Businesses idea (our sister group, and founder of ‘The Businesses Community’) started at a Jelly, so it’s a pretty important part of what we do. Anyone can come to a Jelly. Nearly all the people who attend the Enfield Jelly are from local businesses. It’s FREE – just bring your laptop and pay for you own food & drink as you go. We are always amazed at what goes on in terms of business collaborations at the Jellies, and the generosity of those people there who are happy to share their skills and expertise with whoever is attending. There is absolutely no commitment involved in attending – just come and say hello. Stay for an hour or stay all day, it’s up to you. We find that lots of people who come to the Jelly are working parents who need to do the school runs. They’re perfect for anyone who can’t do the early morning or evening networking events as they have family commitments. What do you call a smaller Jelly??? We have plans to launch a second Enfield Jelly (Jelly Baby) every month… which will be happening sometime soon. Watch this space for more information!